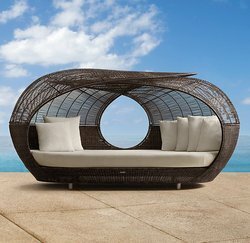 Pioneers in the industry, we offer rattan unique pool side lounger, royal pool side lounger, garden dining set, portable luxury lounger, rattan lounger and pool side lounger from India. 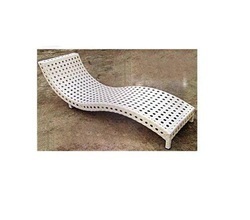 Backed by our flourishing business processes, we are able to manufacture, trade, and supply a perfect quality range of Rattan Unique Pool Side Lounger. This poolside lounger is designed by our experts from the finest grade material & best techniques, at par with the market prevalent norms. Our offered poolside lounger is recognized among our customers, for its optimum quality and unique design. 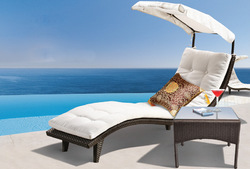 We provide this poolside lounger in numerous customized options as per the demand of our customers. With our spacious experience and sound knowledge, we are engaged in offering an ample assortment of Royal Pool Side Lounger. Our lounge is well known in the market for its excellent quality & eye catchy designs. 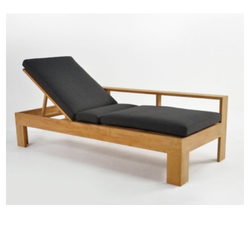 This lounger is checked by our quality experts in order to supply the best quality range in the market. Also, offered lounger is provided in numerous customized designs so as to meet the needs of customers. All our outdoor living & lounge sofa furniture range is specifically manufactured for outdoor use. Love seats and sofas are 100% resistant to all kinds of weather conditions. 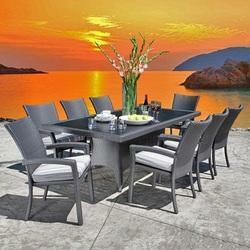 Our living furniture can be left outside year round. Outdoor sofa range feature high density polymer fibre materials for extreme durability and elegance. 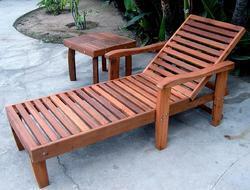 Metro Plus Life Style offers a huge range of Wooden Pool Side Lounger. In fulfillment with advanced market developments, we are offering an elite array of Poolside Wicker Lounger. The provided poolside lounger is high on demand in the market due to its excellent finishing & superior quality. This poolside lounger is designed by our competent workforce using optimum quality material as per the latest trends of market. We provide this poolside lounger from us on varied customized options. With the constant support of our dexterous crew of professionals, we are fulfilling the varied requirements of clients by offering Woodwork Pool Lounger. Our pool lounger is designed by making use of high quality material & modern techniques keeping in mind the latest trends of market. Offered pool lounger coming with an armrest and wheels, which make it easily movable. Our customers can take this pool lounger from us within a given time frame at reasonable price. Poolside Rattan Bed .MS Frame powder Coated & weaving of PVC Rattan . Pool Side Loungers ,MS Frame Powder Coated & Weaving of PVC Rattan . 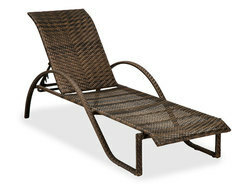 Offering wide range of outdoor furniture in latest & modern designs in rattan, wicker & pp. Sofas, dining sets, gazebos, pool side beds/ loungers, bar stools etc. are in wide range of colors & designs. We offer quality at reasonable price. Inquiries for bulk requirements solicited from hotels, importers, exporters, wholesalers, corporate/offices, distributors & other institutions, etc. Outdoor Pool Side Lounge .